This committee coordinates a 2-day, identical in content/structure, workshop which allows administrative staff the ability to participate in a day of team building and knowledge gaining activities outside of the office along with professionals in their like fields from other institutions. The workshop is designed to allow the whole staff the opportunity to build their knowledge base and network in a relaxed learning environment. This committee assists in fostering awareness and inclusion in student services for international, educationally disadvantaged, ethnic minorities, gender issues, and individuals with disabilities. Information concerning current issues that affect educational institutions are researched and communicated to the entire membership. The Diversity and Multiculturalism Committee also assists the LAC by contributing sessions at the Fall Conference. The LAC is responsible for budgeting and planning the annual Fall Conference. Committee members continue to serve throughout the conference assisting members as needed. The goal of the Member Services Committee is to find ways to better enhance membership opportunities for NACRAO members. We strive to serve members through recruiting new members and promoting NACRAO through marketing efforts, partnering with other committees to offer workshops or bringing in special guest speakers, coordinating campus visits, fostering relationships with high school counselors and other organizations, conducting membership surveys and listening to member needs, and researching and disseminating information on current topics in higher education. The committee is also responsible for securing promotional items, and maintaining the Membership Directory and listserv members. 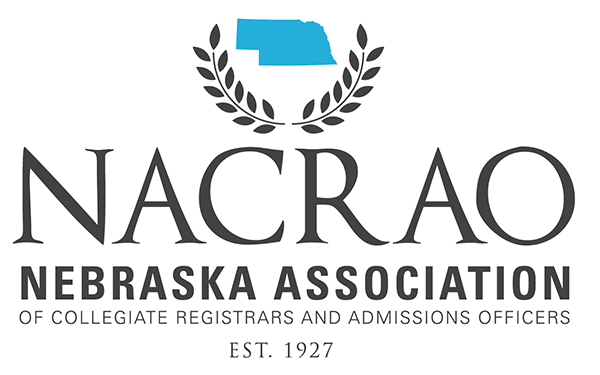 The Nominations and Elections Committee seeks out nominations for any upcoming vacancies on the NACRAO Board. The Past President of NACRAO serves as Chair of this committee.